Beginning our journey on the region Pathlandia on jokaydiaGRID. 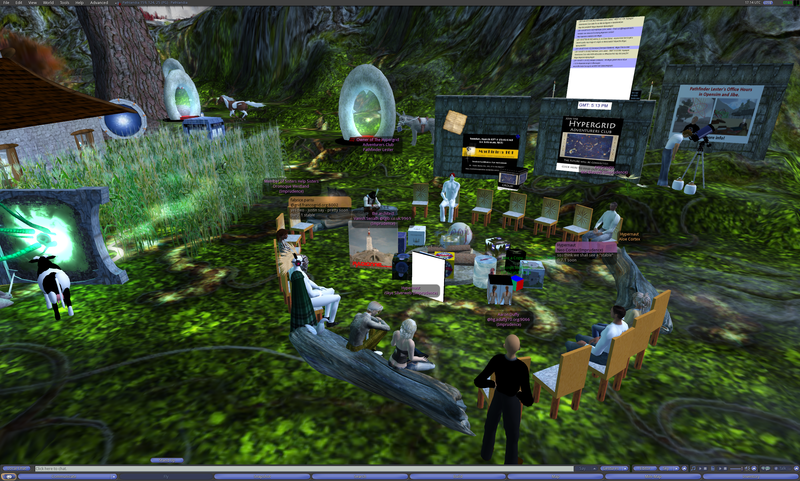 Our meetings always start with a group discussion before we head out to explore the hypergrid. Walking through a Hypergate to make our first hypergrid jump. The gates generate a neat sparkly effect whenever someone walks throught them. 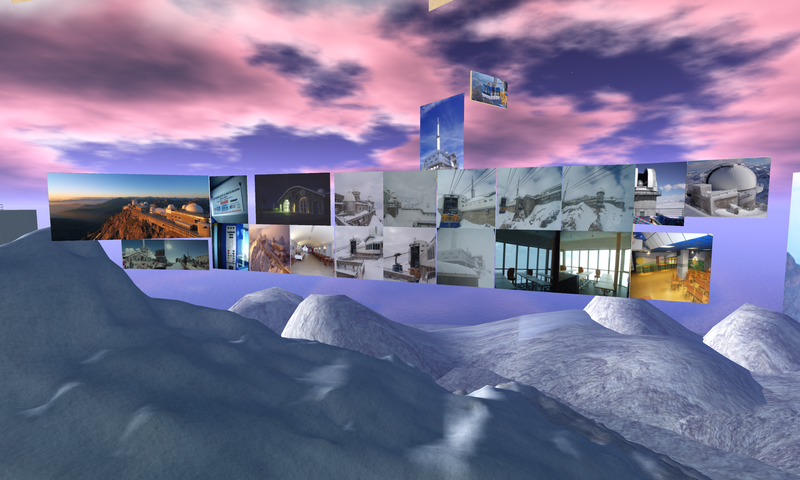 The hypergrid is an evolving technology. 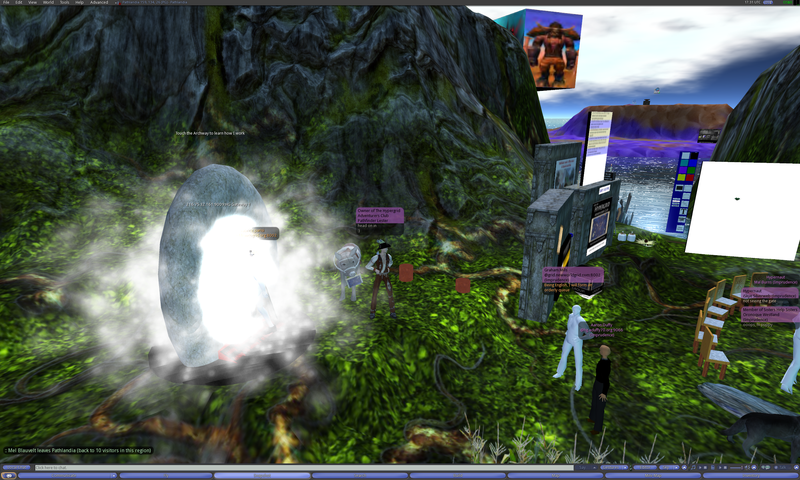 Sometimes hypergrid jumps behave weirdly and you get strange "teleporter accidents." This was one of those times. Too funny! My second attempt at hypergrid jumping was more successful. Phew! Arriving at Pic du Midi de Bigorre. It's on a region named "Lab" on NewWorldGrid. You can see floating pictures of the real life location all around the build. They are being used as reference photos to help build out the mountain as accurately as possible. Lots of telescopes around here! 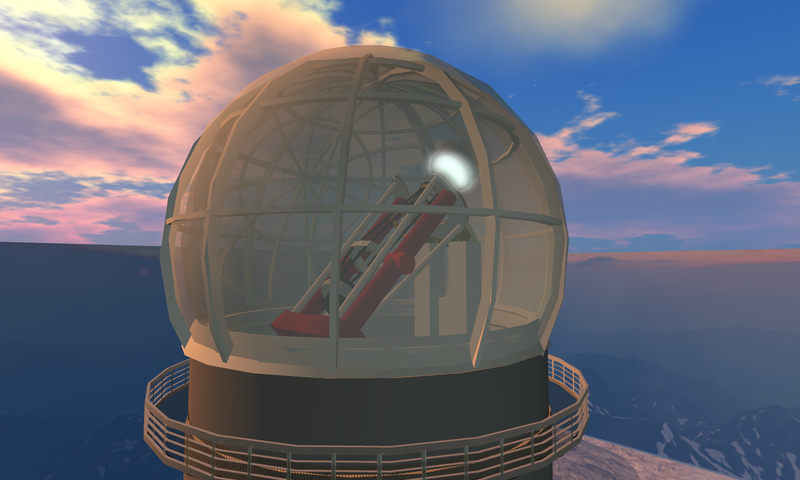 Another telescope. The attention to detail is really amazing. A lot of work is being done on recreating the topography of the mountain as well as the observatory buildings. If you go inside the buildings, you'll find a lot of educational exhibits under construction. 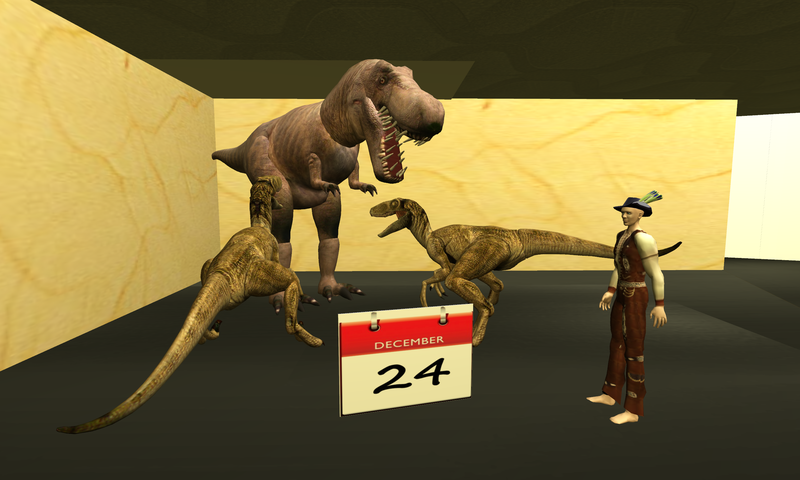 I'm not sure why these dinosaurs are here. But it's always fun to see dinosaurs, so I approve. Immersive learning is a powerful tool for educators. 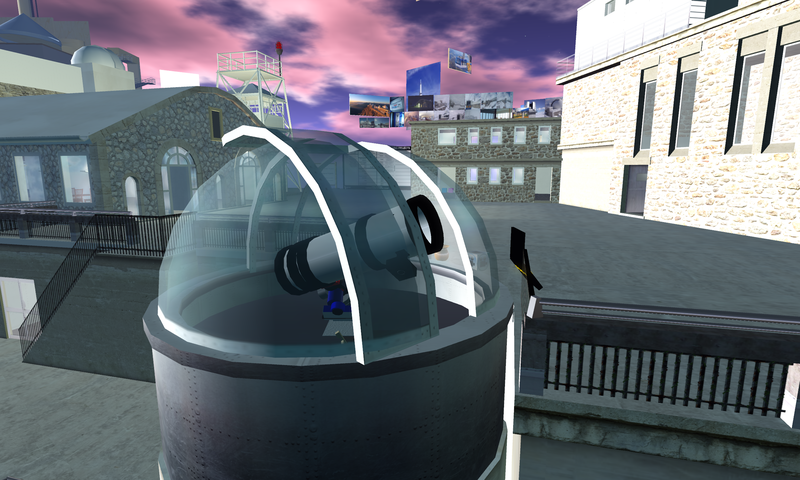 Aime is doing an amazing job at recreating a very famous observatory in a way that encourages exploration. I can’t wait to see how this project develops over time. 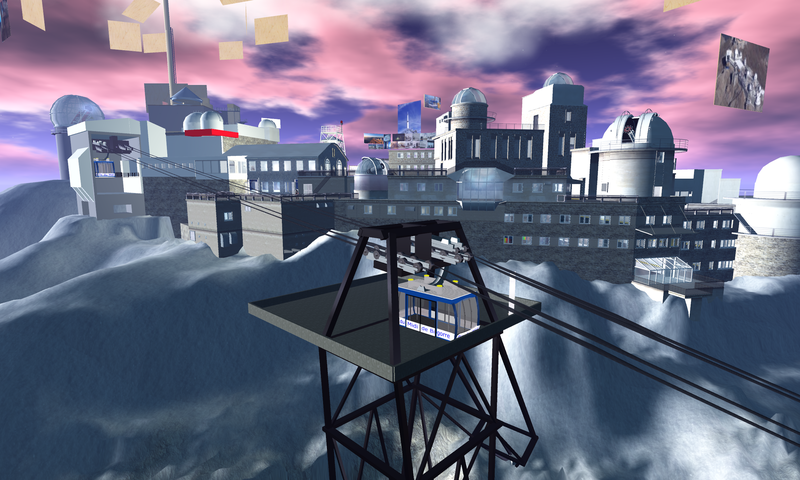 Want to join us as we explore more places on the hypergrid? 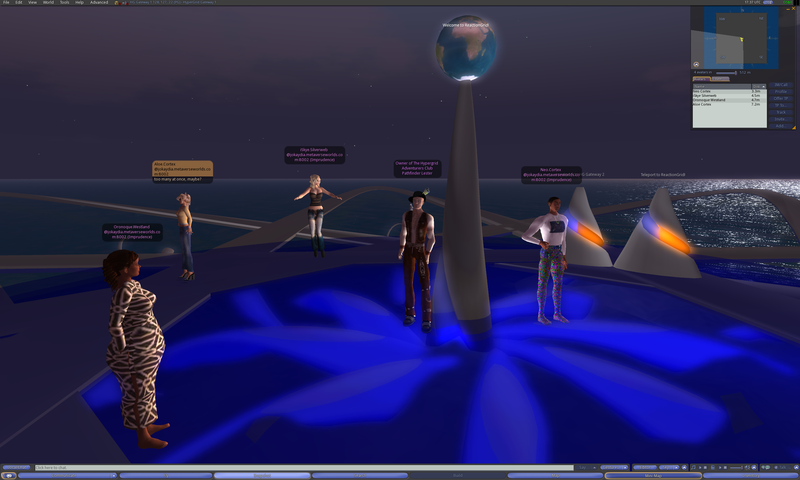 Check out our Hypergrid Adventurers Club Google Group and join the conversation! This entry was posted in Announcements, Avatars, Education, Hypergrid Adventurers Club, OpenSim, Pioneer Lessons, Virtual Worlds and tagged astronomy, avatars, education, HyperGrid, Hypergrid Adventurers Club, jokaydiagrid, metaverse, online communities, OpenSim, ReactionGrid, virtual worlds by John "Pathfinder" Lester. Bookmark the permalink. > I can’t wait to see how this project develops over time. A spectroscopy lab is under build. 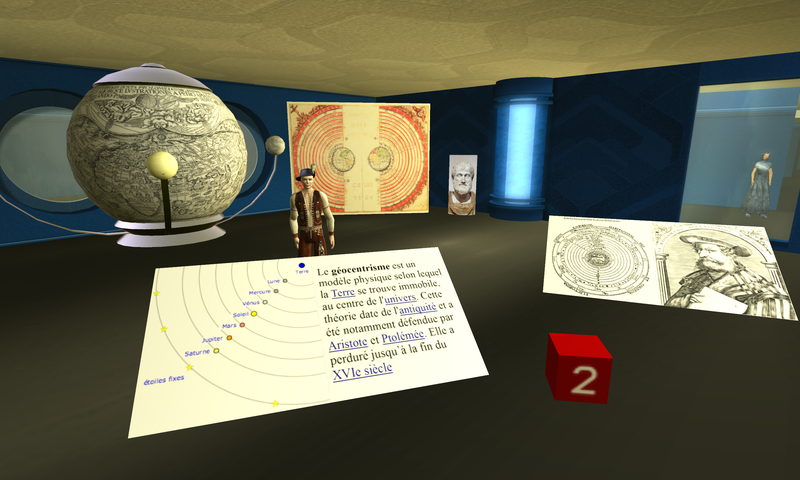 It raised some interesting questions about scientific computation in opensim. I was amazed by the (relatively) good number crunching performance of LSL. A 512 points black body spectrum with Planck’s law and correct CIE colorimetry is fast enough to be animated in real-time. No video, pure simulation. Interactive. We’ll have also some working lasers, optical benches, diffraction experiments and so on. WOW ! I love this, John! Very great indeed!